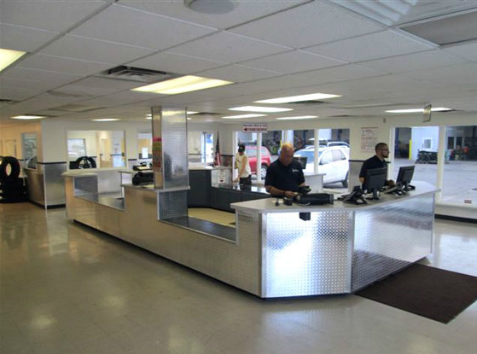 At Liberty Auto Salvage we can tailor our warranty to your needs! All warranties are carried in house. No dealing with a warranty company. And all our warranties are unlimited miles. All body parts have a lifetime replacement warranty for corrosion, and all mechanical and electrical parts have a 90-day parts-only warranty. We offer multiple options, including a 90-day parts and labor, three-year parts and labor and lifetime parts and labor warranties. We also offer extended part warranties with no labor. This warranty applies to original purchaser of the part for 90 days unless otherwise stated, if an extended warranty is purchased. Extended warranty is available as an additional purchase. Sheet metal has a limited one-year warranty for corrosion. If any defect is discovered during the warranty period, Liberty Auto Salvage must be notified immediately. Any repairs or work performed must be authorized before work is started. Any repair (including but not limited to removing the part) that is initiated without authorization will void the warranty. Transportation expenses on parts that are being returned are excluded from the warranty. Liberty Auto Salvage reserves the rights to repair, replace or refund the purchase price of any part at their discretion. The warranty period on any part starts at the time of sale, not upon installation. The liability and obligation of Liberty Auto Salvage under this warranty shall not include any inconvenience, transportation, towing, downtime, direct, indirect or consequential damage or delay resulting from any defect. This warranty is in lieu of any warranty expressed or implied. Parts not covered are intake manifold, exhaust manifold, water pump, injectors, hoses, brackets, wiring harnesses, etc. This recycled OEM part was provided by a professional automotive recycler that participates in the ARA Gold Seal Certified Automotive Recyclers program, and therefore agrees to abide by the program’s code of ethics. If you feel that this company has failed to deliver our promise or you are not satisfied with your product, please call the Automotive Recyclers Association hotline with your concerns at 888-385-1005.